Our goal at Shippo is to remove all friction from e-commerce shipping to make it easier for businesses like yours to get products to their rightful destination. Ultimately, we want you to be able to grow your business with ease, streamlining the fulfillment process so you can handle more packages effortlessly. Today, we’re introducing exciting features to support your shipping operations—whether you’re an enterprise company, a booming SMB, or just getting started. Here’s a look at the new updates. Ware’s Your House? New Multiple Sender Addresses! 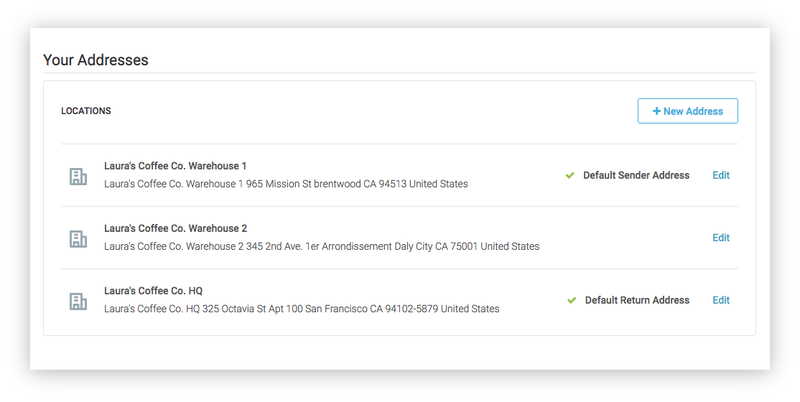 If you’re shipping from multiple locations, or running a network of warehouses like 76 percent of SMB online retailers, you can now save multiple sender and return addresses. 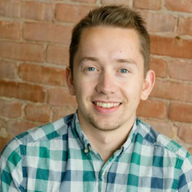 Forget any complicated workarounds you’re using today to ship from multiple locations. Add additional addresses and designate your default Sender and Return address now in Account > Company. Your original default sender address remains, so there is no interruption to your workflow. If you’re using one of the dozens of e-commerce solutions we integrate with to help easily pipe orders into Shippo, then you’re in luck! We’re helping you streamline that fulfillment process with a new filter: Shipping Method. A “Shipping Method” is the preferred shipping method your customers choose at checkout, such as flat rate shipping, free shipping, next day, international, etc. 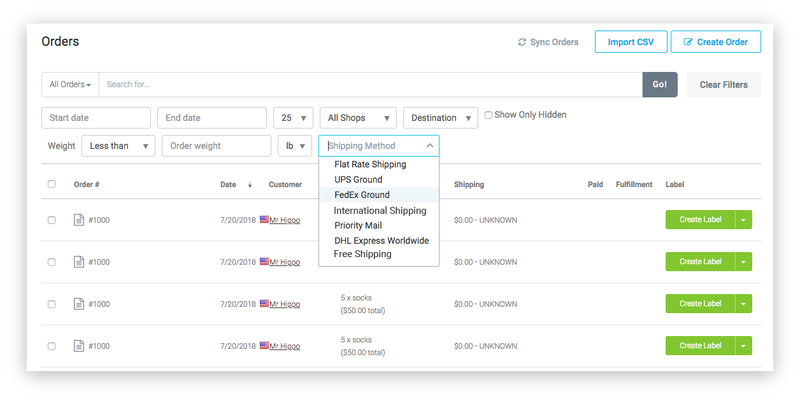 The new Shipping Method filter allows you to quickly filter to show only the orders with shipping methods you wish to see right now. We’re now integrated with Peoplevox: a warehouse inventory management system that delivers 99.99 percent picking accuracy. Peoplevox gives pure play and multi-channel retailers full control over their warehousing processes, enabling them to decrease costs, increase profitability, and improve customer satisfaction. Peoplevox technology is purpose-designed to meet each business’ unique needs. Working on any Android-enabled device, the solution is flexible, fast, and affordable. Shippo allows merchants to create labels for orders they’re shipping from their warehouse in the PeopleVox application. If you’d like to use Peoplevox and Shippo, please get in touch with our sales team to integrate Shippo with your account. ParagonERP is a cloud-based software that helps small businesses handle their daily operations. Paragon manages your orders, inventory, supply chain, manufacturing, logistics, accounting and more, all while giving you access to beautiful reports. 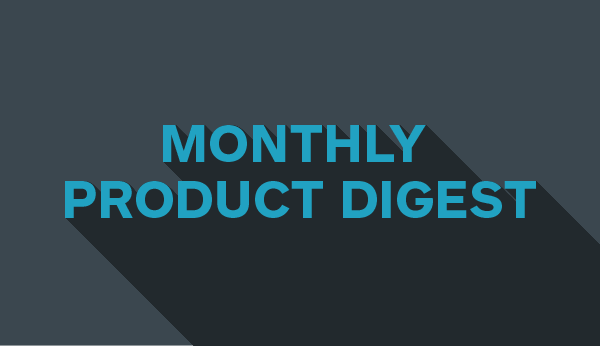 ICYMI, here are recent Shippo product recaps from June and May. If you’d like to try these new features for yourself, you can try Shippo for free with a 30-day trial of our Professional plan or our Pay As You Go plan. Visit our pricing page for more information.